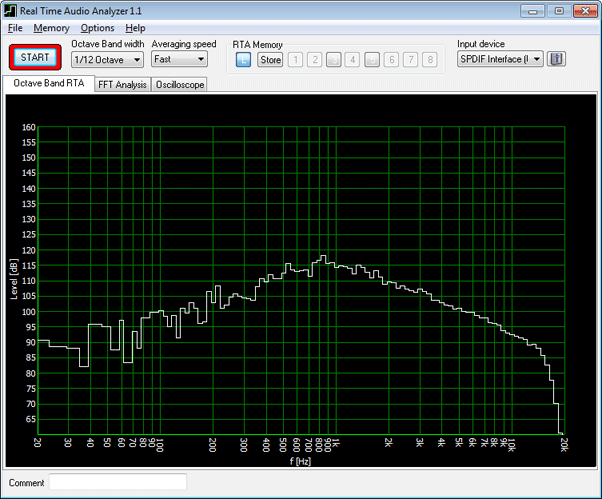 This program is an audio analyzer with FFT and n-th octave frequency analyzers and oscilloscope. The octave analyzer can show the frequency spectrum at 12th, 6th, 3rd and full octave resolution. (A standard license supports all resolutions). With the FFT frequency analyzer you can see the spectrum on a linear scale, which can be useful for harmonics and other analysis tasks. Also on board is a real time oscilloscope.